Kubota Skid Steer Vs. Bobcat – Which Is Better? In 1960, Bobcat introduced the M400, the world’s first skid steer. The Bobcat S650 arrived in 2014. As Equipment World reported, Kubota’s first skid steers, the SSV65 and the SSV75, first hit the market in 2015. As you get into the Kubota skid steer vs. Bobcat debate, you’ll find numerous differences between the machines. However, before you compare your options, carefully define your current and anticipated needs. The Kubota SSV75 is somewhat larger than the Bobcat S650. The SSV75 has a 47.2-in wheelbase, and the S650 has a 45.3-in wheelbase. Without the bucket, the Kubota is 115-in long, and the S650 is 108.4-in long. If you regularly navigate hilly or uneven terrain, you’ll appreciate the added stability derived from the extra length and longer wheelbase of the Kubota. The Kubota SSV75 has a 2,630-lb rated operating capacity with a 5,884-lb bucket breakout force. The Bobcat S650 has a rated operating capacity of 2,826-lbs with a 5130-lb bucket breakout force. If lift height and reach are important to you, consider the fact that the Kubota’s dump reach of 36.9-in compares quite favorably to the Bobcat’s 31.5-in dump reach. The 74.3 hp delivered by the Kubota V3307-CR-TE4 engine is similar to the 74.0 hp generated by the Doosan 2.4 L engine that powers the current Bobcat S650. Bobcat first used Kubota engines before switching to Tier IV Doosan engines in 2015. The Doosan diesel oxidation catalyst (DOC) engine tends to run hotter and burn more fuel. 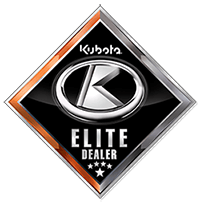 Kubota’s diesel particulate filter (DPF) design allows you to throttle up and get to work 60-90 seconds quicker. The Kubota comes standard with a two-speed transmission, while a two-speed is an available option on the Bobcat. Kubota’s direct drive pump delivers consistent horsepower to both the HST and loader pumps. Bobcat’s belt-driven design allows it to run at lower RPMs. Inconsistent power delivery is a possibility with belt-driven designs. In daily operations, the SSV75 holds an edge in the Kubota skid steer vs. Bobcat debate. For example, there are significant differences between door and window designs. For example, Kubota employs a roll-up door that moves regardless of boom position. The design allows full use of the cab opening. The Bobcat’s swing-out door can only be opened after the boom is lowered, and it restricts access to the entire cab opening. The Kubota window slides to infinite positions along a track mounted inside the cab, while the Bobcat’s five-position window tracks outside of the cab. Dirt, sand, and debris may accumulate on an outdoor-mounted track. Kubota offers enhanced visibility using ¼-in wide bars in the top grating. Bobcat uses ⅝-in bars that are more than twice as wide. Even with the boom of the SSV75 down, operators enjoy good wheel visibility. The Bobcat’s front visibility is adversely impacted by the wiper assembly, while the Kubota’s operator can see the cutting edge without leaning forward. It is easy to repair or replace the bolted-on grab handles on the Kubota. The Bobcat’s grab handles are welded to the chassis. The interior of Kubota’s cab is wider, while the Bobcat cab is slightly higher. There’s no denying that great ergonomics and thoughtful cab design enhance productivity. During endless hours of operation, every second lost hurts your bottom line. For example, the throttle knob on the SSV75 is easily accessed while the right hand (RH) is still on the RH joystick, an advantage when increasing forward speed. Since the S650 throttle knob is on the pillar, the operator must take his/her hand off the joystick to alter engine RPM, reducing forward motion in the process. If your skid steer applications involve nighttime or low-light operation, the different lighting concepts may be of interest to you. Kubota uses independent forward and side lights, while Bobcat uses only forward lights fitted with prism lenses to project light to the side. Bobby Ford Tractor and Equipment is a Texas Kubota dealer serving contractors, landscapers, road crews, farmers, ranchers and others throughout south Texas. To learn more about our selection of Kubota skid-steers, or to arrange for a demo, please contact us today!